St. François-Xavier de Montmorency-Laval was the brave missionary bishop of Quebec who oversaw a territory encompassing most of the continent. Filled with missionary zeal, Laval influentially planted the seeds of Catholic faith in the New World. He was declared a saint by Pope Francis in 2014. Born from a noble background in France’s Perce province in 1623, St. François Laval was trained and educated by Jesuits. During those formative years the young Laval grew in awareness of the order’s missionaries in North America. He was impressed by their missionary zeal to such a degree that he wanted to join their work, following in the footsteps of his missionary namesake St. Francis Xavier. Ordained a diocesan priest in 1647, it seemed that Father Laval would be unable to fulfill his missionary dreams because of obligations with several ecclesiastical appointments in France within the first years following his ordination. However, the dream seemed closer to a reality after spending more than a year in Rome training to become an apostolic vicar to missionary regions in Asia. Father Laval was disappointed to learn that the mission ceased to develop after a variety of political problems arose. He returned to his native France and spent three years living in a retreat house called the Hermitage at Caen. In his time there, his reputation grew as a man dedicated to prayer and works of charity. He also helped in reforming monasteries. Bishop François de Servien of Bayeaux described the zealous priest to be of “great piety, prudent and of unusually great competence in business matters, (and) fine examples of virtue.” Taking into consideration these qualities and his earlier experience in Rome, Father Laval’s appointment as apostolic vicar to New France in 1659 made good sense. In 1674, Bishop Laval successfully requested that the Holy See erect a separate diocese — the first in the New World north of Mexico — encompassing most of North America. In his tenure as bishop of the vast diocese, he was responsible for building an ecclesiastical infrastructure. Parishes and hospitals were constructed at his direction. He was a great proponent of building a strong educational system for all, not just the elite. The project of which he was proudest was the Grand Seminaire, founded in 1663 to support the Church of New France by training future priests and leaders. It housed an academy and a home for priests. Bishop Laval was met with great resistance when he levied an ecclesiastical tax on parishes and farms in order to provide for the upkeep of the seminary. The seminary eventually evolved into Laval University, the oldest institution of higher education in Canada. His ecclesiastical position required that he be involved in a certain amount of colonial politics, and he was never afraid to disregard civil authority when needed. He boldly defended civil rights in the New World, especially among the natives. Recognizing the destructive behavior among Native Americans when introduced to alcohol, he excommunicated those who sold it to the natives. His decision was supported by a royal decree in 1679. As his health began to show signs of deterioration in 1688, he resigned his office. He spent several years in retirement caring for the poor and living a life of prayer. He experienced great sorrow in his declining years as he witnessed two raging fires at his beloved seminary, which was rebuilt with his assistance. 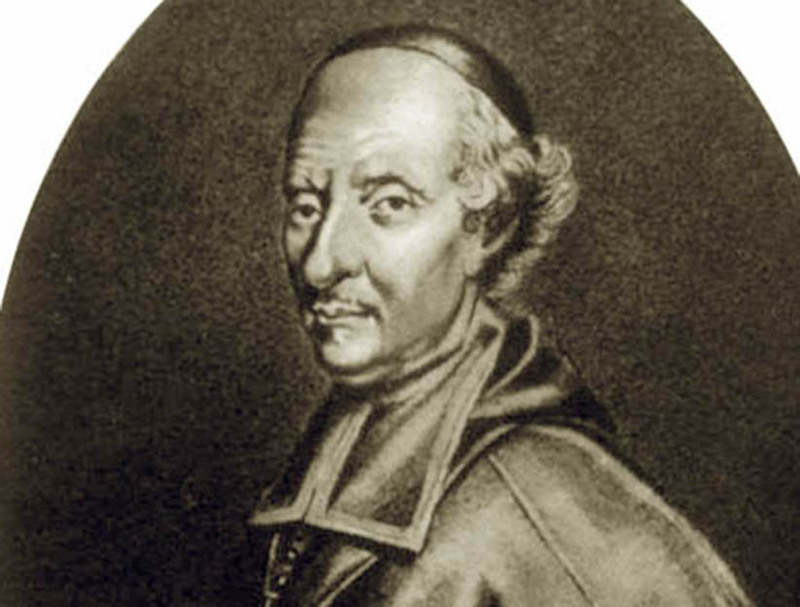 Bishop Laval died in 1708 after developing a stomach ulcer. An observer of his funeral noted, “Immediately after his death the people canonized him, as it were, having had the same veneration for his body as for those of the saints … they even cut off pieces of his robe, which several have had enshrined in silver, and they treat them as relics.” His feast day is May 6.